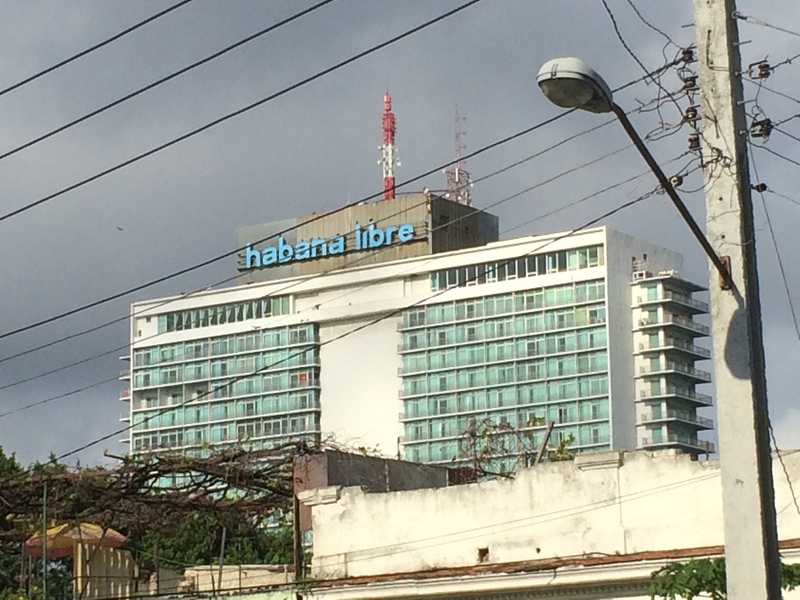 Towering 25-storeys high, the Habana Libre hotel is a distinctive landmark on the Cuban capital’s skyline. Although a short taxi ride from the cobbled old town – a Unesco World Heritage site – it is still a popular place to stay for tourists visiting this beautiful Caribbean island. 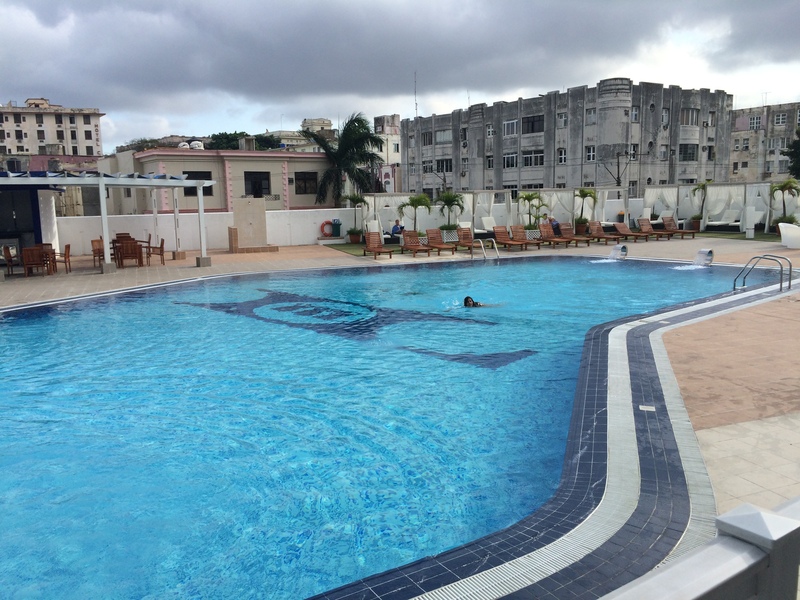 The hotel – the biggest in Havana with 574 rooms – offers all the facilities that any traveller would want, including a choice of restaurants, a variety of bars (including one with a cabaret show on the top floor), useful shops, a business centre and travel agency desks. For anyone wanting complete luxury, look elsewhere (some parts of the hotel could do with a lick of paint and guest bedrooms – if the one I stayed in is anything to go by – could do with a refit). But I had different reasons for wanting to stay at the Habana Libre. Reading up on the hotel before my trip to Cuba, it seemed to me that this hotel represented the very essence of change that the country has seen in modern times. It opened in 1958 as the plush Havana Hilton in the dying months of the rule of the corrupt Cuban dictator, Fulgencio Batista. The city’s elite, those close to the government and a number of foreign visitors attended a grand banquet on March 19th that year where fine foods and free-flowing liquor was served. Guests were greeted from their luxurious automobiles by porters in exquisite uniforms at the car port, in the very spot where tour groups today mill around. Then on March 22nd Conrad Hilton himself was there for the opening day of Havana’s most modern hotel, which still boasts the best views of the city from the upper floors. Guests had use of an array of amenities, including a Trader Vic’s, casino, terrace pool (still a fine spot for cooling off after a busy day of sightseeing), supper club and a rooftop bar. But less than a year later after the Hilton opened, Fidel Castro – and his comrades – secured the Revolution in Cuba and (from January 8th 1959) they made the hotel their headquarters for three months. There are some wonderful black and white pictures of the rebels, guns poised in the vast lobby – near where today’s visitors check-in, listen to live music at one of the bars or slouch on sofas and connect to expensive wi-fi. 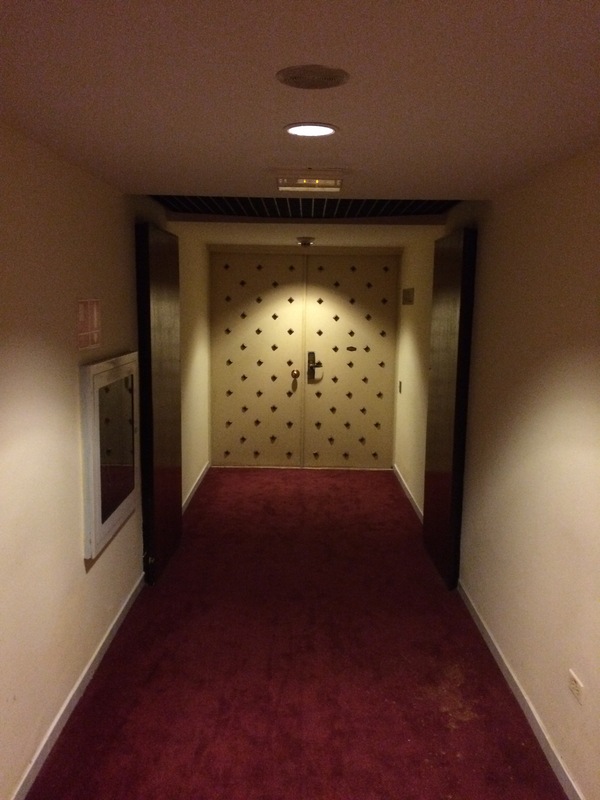 Fidel Castro used suite 2324 as his office and press conferences, government meetings and interviews were held at the hotel (Castro frequently stayed in room 2224 – a suite that bears his name today). Two floors of the hotel were also used as the Soviet Union’s first embassy. In the aftermath of the Revolution, the hotel struggled to make any money so managers were forced to make redundancies. Meanwhile, relations between the US and Cuba were quickly falling apart, with US president Eisenhower in favour of a plan to sabotage sugar refineries – one of the most important industries for the country – and American businesses were under pressure not to refine Soviet oil. Fidel Castro hit back in 1960, with the nationalisation of all US businesses, including 36 sugars mills, ports, railways and cinemas, plus – of relevance for our story of the Havana Hilton – all hotels. Casinos were also permanently closed at this time, as the new regime set out to repair the corrupt and immoral society they felt Batista had created. Relations with the US worsened even further, with the unsuccessful CIA-backed Bay of Pigs invasion by Cuban exiles in 1961 and the Cuban Missile Crisis – the most-tense point in the Cold War given surveillance suggesting that the Soviet Union was storing nuclear missiles on an island just 90 miles away from Florida. At the time of the Hilton’s nationalisation, the institution was renamed the Habana Libre – the name it retains today – but rather than welcoming rich American visitors as intended, it was used to host an eclectic range of guests such as arts and crafts students and peasant women who were in Havana to gain new qualifications. Parts of the building were also used as offices and for the university, while the grand halls were used for international conferences. In the early 1990s Cuba faced an economic crisis following the fall of its main backer, the Soviet Union. The island decided to favour international tourism in a bid to bring in vital revenue to keep it afloat. And yet again, the Habana Libre began a new chapter in its short, but illustrious life. 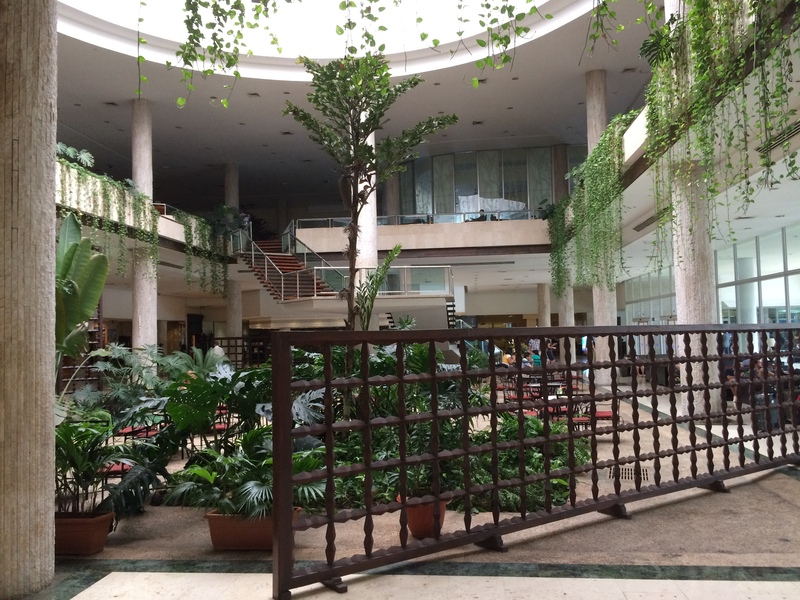 Following a year-long refurbishment, the hotel re-opened in 1997 under the management of the Spanish Melia group (although, as with all hotels in Cuba, the government retains a controlling stake). Today, the Habana Libre still has its critics and given the ugly concrete appearance from the outside you can understand where they are coming from. But at the same time, I think it has a great atmosphere. The two-storey atrium features ponds, considerable greenery and striking modern artwork. And given the number of people staying here, there is always hustle and bustle that other lobbies don’t have. In the evening there is often a live Cuban band playing in one of the bars. Things have clearly moved on in Cuba in the two decades since the end of Cold War. I wanted to see how the country had changed in that time following its decision to embrace international tourism, rather than shying away from it. But just after booking my flights to Cuba, Raul Castro and Barack Obama went on television in Havana and Washington simultaneously to make landmark announcements. After more than half a century of hostilities they declared they would begin the process of restoring diplomatic relations and would explore re-opening a US embassy in Havana. Over the years the CIA made so many attempts to assassinate Fidel Castro – including a plot to hide explosives in his cigars – that he boasted: “If surviving assassination attempts were an Olympic event, I would win the gold medal.” But brother Raul is now calling the shots as president and there is speculation that Fidel – who has not be seen by the international community world for a year – is either dead or at the very least in a coma. The broad US trade embargo introduced in 1962 has by some accounts crippled Cuba. While president Obama doesn’t have the power to abolish these completely (he needs the backing of Republic-held Congress, which isn’t in favour of scrapping these), he can loosen restrictions (which will greatly help the construction industry, currently facing a shortage of materials, and those working in telecommunications in Cuba). Cuban exiles in the US will also be able to send more money back to their families in Cuba, following the December announcement. At the same time, Obama said it will be easier for exiles to visit the island nation (officially, US citizens can’t visit the island without special permission because they aren’t legally permitted to make travel-related transactions in Cuba, although many still visit by going through a third party) and they will be able to use US bank cards. While I was in Cuba for a two-week stay, talks with a US delegation took place in Havana, a significant step-forward in the process of normalising relations between the two countries. There is clearly however some way to go. If all Americans are allowed to legally visit Cuba again, the Habana Libre – other hotels in the city – will become extremely busy again. Will the country be able to cope? And will there one day be a Hilton in Havana again? Only time will tell. Over the next 12 days I will share my experiences of travelling in ‘new Cuba’. Tomorrow: The foundation of Havana and uncovering colonial rule.